What's in a name? Quite a bit actually! This week, we examine Alberta's carbon levy and the affect it will have on Albertans. Hands up, who loves taxes? What, none of you? Perhaps it’s not surprising, but that question tends to get a lot of negativity. However, it’s interesting to note that if people are told how the money will be used their answer quickly changes. Abacus Data put nuanced questions to Canadians about a carbon tax in April. In this survey, 73 per cent of Albertans indicated "putting a price on carbon" is a very good, good or acceptable way "of encouraging people and businesses to reduce emissions." In that same Abacus survey, when asked their opinion of a "carbon tax," Albertans' support dropped to 51 per cent. Other recent polls have clocked support as low as 37 per cent. Moreover, if you specifically mention a “federal carbon tax” support again plummets to 37 per cent. However, yet another Abacus poll asked how support would change if Ottawa approved a new pipeline to get Canada’s oil and gas to new markets. 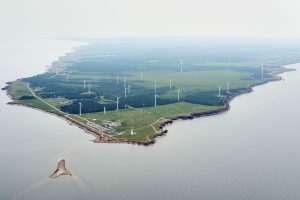 In this scenario, support for a shift to renewable energy soars to 92 per cent supporting or accepting the measures in Alberta. Alberta is launching its own carbon levy starting January 1, 2017 at $20/tonne, rising to $30/tonne in 2018. Alberta’s plan was released prior to announcement of the federal carbon levy. Prime Minister Trudeau says provinces have until 2018 to institute a levy, or the federal government will impose one. "This is in the spirit of taxing the bads and not the goods," says Anielski. "I think everyone requires a share of responsibility [for] paying for that liability. But the tax really is an incentive to change our behaviour to be more efficient. This would positively affect all our bottom lines in terms of lowering our cost of living." Under its Climate Leadership plan, Alberta will use $3.4 billion to develop new clean energy and $2.2 billion to develop green infrastructure. Another $645 million will help individuals and businesses become more energy efficient. In the Abacus poll Canadians were asked on what they would most support spending carbon taxes. The top two things Canadians want to use a carbon tax for are investing in research and development and in clean energy; and investing in infrastructure. These options were preferred by 92 and 90 per cent of Canadians respectively. Alberta has also pledged $3.4 billion for helping households, communities and small businesses adjust to the carbon levy and for helping workers and communities affected by the phase out of coal-fired generation. Anielski says Alberta's $20/tonne carbon levy, taking effect in January, will increase gas prices by 4.5 cents per litre and 5.35 cents per litre for diesel. That’s about the same increase we experience every long weekend. It will also affect your utility bills and in other places we use fossil fuels. The Alberta government has estimated the impact will be $191 to $338 per household. But here’s the other side: individual Albertans who make $47,500 or less will receive a rebate of $200 whether they pay income tax or not. Meanwhile, families making less than $95,000 will receive a rebate of $300. In addition, small business tax rates will be cut by one-third, from three to two per cent. This cut will mean $185 million in tax reductions for more than 95 per cent of businesses in Alberta. The levy will not apply to marked gas or diesel used by farmers. And there will be a series of programs to help farmers, businesses and individual Albertans save energy. Albertans and Alberta businesses that participate in energy efficiency programs funded by the levy may actually wind up in a better economic position. Measures differ for each sector, but for example installing one simple device such as a programmable thermostat can save a homeowner between 10 and 30 per cent on heating costs. “I think one of the dangers, of course, with any new tax, is that it ends up in general revenues,” says Anielski. “The good thing about this public policy piece is that the monies collected will be used to encourage energy efficiency, which will actually reduce our carbon emissions.” The $3.4 billion being spent on research and clean energy will actually reduce the future carbon levy Albertans pay since the new energy sources have no carbon emissions. Money spent on energy efficiency programs will avoid future carbon levies and put money back in the pockets of Albertans and businesses. “And also, we're going to see reduced health costs that are associated with things like coal-fired emissions, that some say is $300 million a year. 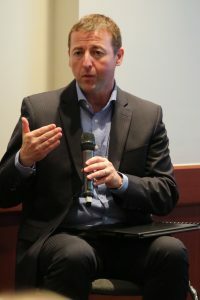 All of these things, I think, as long as the funds are properly recycled or used to actually reduce our emissions and change our behavior, are a good thing,” says Anielski. Key to all this is measuring success. “I will put the onus and pressure on government to be able to audit and to actually assess the absolute reduction in emissions.” Emission reductions will help Alberta’s standing in world trade. However, Albertans and small businesses may be more interested in reducing their energy use and saving money. In the end, the more successful Alberta is at developing clean energy and encouraging people and businesses to save energy, the less the levy will cost overall. 1. 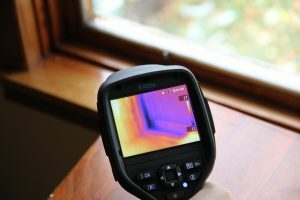 Get a home energy audit – A home audit will cost between $200 and $500 and the information you get can be invaluable. A skilled auditor will not only show you where your home is losing energy, but will also help you invest in improvements that give you the best bang for the buck. 2. Energy efficiency actions – There are dozens of ways to save money, but here are some of the easiest. A programmable thermostat can save between 10 and 30 per cent on home heating. LED lights provide high quality light and can save 75 per cent on lighting energy. Finally, weatherstripping to seal doors and windows is a no-brainer, and upgrading your home’s insulation can make a really big difference! 3. Update your appliances – A modern front-loading washing machine use half as much energy as a model that’s just 10 years old! Likewise, modern fridges are also twice as efficient as their older cousins. Look for the Energy Star certification and check the EnerGuide sticker to compare energy use. 4. Invest in green energy – Many retailers offer green energy or renewable energy credits (RECs) to green your supply of electricity. It’s surprisingly affordable. Some small retailers give you a better rate on electricity if you buy RECs that cost between five and 50 cents per day depending on how much green you want to buy. If that’s not enough for you, consider installing a solar system on your home. This can be done for about $18,000 for a six kilowatt system. 5. Support a transition to renewable energy for Alberta – The greener our energy grid, the less carbon levy we’ll all pay! That’s precisely what 25 school boards in Alberta did when they bought 100 per cent wind energy for 500 Alberta schools. They are protected from inevitable price increases in electricity, and wind power is carbon free. Or check out this story on the Green Acres Hutterite Colony. They installed 7,600 solar modules to power their plastic recycling business and farm operations. They did this without any subsidy. They too are protected against carbon levies or any future energy prices increases. Since Alberta announced its carbon levy more than a year ago the federal government has announced a federal program that will only affect provinces without carbon levies. Carbon pricing is one way of supporting energy transition without picking winners and losers. And reducing emissions and energy use will make our businesses more competitive in the long run. Tags: Alberta, Carbon Pricing, Renewable Energy, Energy Efficiency, Green Energy Futures. Net-zero houses are almost old news here at Green Energy Futures. But a net-zero commercial building? Now that got our attention. When you tell people you’re building an Earthship there are two stock responses. First there are the believers. These are the people who’ve watched Garbage Warrior, twice. They want to talk design and permits and timeline. They’re into it. The other stock response is an incredulous repeating of the word back to you with a question mark attached. Earthship?